Piercing Models is created from a need; a personal need to educate and inform people about the risk and procedures of getting a piercing and a tattoo. Piercing Models wants to inspire others to get beautiful piercings safely and professionally. We will provide you with our best knowledge of body piercings, face piercings, body tattoo, and other forms of body art. All our information is carefully selected to prepare you for your first (and many thereafter) piercings and tattoo. Meet the two dedicated professionals behind our blog. Before I became a Certified Body Piercer, I have always tried piercing my body with the help of my peers. 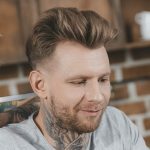 Yes, it is unsafe and potentially dangerous: things can go wrong without a professional help and things will still go wrong without proper knowledge of the aftercare which is why I pledged to learn everything about piercing and make free expert content about everything people need to know when getting a body piercing. As soon as I was eighteen years old, I didn’t waste any time slacking around and took all the training I need to become an expert: familiarizing myself with the tools of the trade to attending different training classes (piercing basics classes tackling anatomy, safety, and hygiene, bloodborne pathogens training classes, first aid CPR classes, and more). There, I was able to learn more about sterilization, disinfection, cross-contamination, and health and safety issues. I became more familiar about the possible piercing problems that may arise when improper aftercare is done. When I completed my classes, I signed up for an apprenticeship at a local reputable piercing shop. I spent a year and two months as an apprentice which allowed me to perfect my hand and eye coordination. Also got to be a better communicator and got wiser in choosing the best jewelry quality. During my apprenticeship, I started this detailed informative journal of my journey through the different body piercings. With the help of some friends who know how the web works, I was able to publish my first blog back in 2013. Since I started, I have shared tons of information about everything a person has to know before getting one. Some of the early contents of my blog featured stories from real piercing models, information on Tragus Piercings, and inspiration on Helix Piercings. It didn’t take long for me to realize that I also wanna learn the skills needed in professionally designing tattoos on the body. For this reason, as soon as I completed my apprenticeship in piercing, I have looked for the best tattoo shop where sign up for an apprenticeship on tattooing. I looked for the best mentor who is highly skilled and experienced with tattooing. This is basically how I found Jeff. He owned a tattoo shop at that time and he was more than willing to help me out. Most piercing shops need both skills in tattooing and piercing so I thought it was gonna be a win-win situation for me if I also knew how to apply tattoos. Didn’t know it was also gonna be a win-win for my love life. After falling in love with each other, we decided to expand his tattoo shop where we added piercing services for our clients. Currently, he is still teaching me everything he knows about tattoos and he is in charge of all the tattoo guides we share for FREE. Hi guys! Jeffrey Adler here. I am a Professional Tattoo Artist. My journey to becoming one was not the easiest but I am glad to serve you with all the knowledge I have about tattoos. I always had the passion for drawing. I probably made hundreds, if not thousands of sketches and paintings in elementary and high school. I found all of this inspiration from my late dad who was a painter. The only difference was, I wanted to paint bodies and not canvases. However, it wasn’t the same thing at all! I tell you. Although tattoo artists possess great artistic ability and creativity, simply being good at drawing wasn’t at all in becoming a great tattoo artist. I started out by compiling my best works of art and presented them as my portfolio in the best tattoo shop in town hoping I can be accepted as their apprentice. Luckily, I have. I just had to work and learn for free for a year. On a positive note, my mentor never billed me for the apprenticeship like others do for an average of $10,000. All the information and application of skills I learned with the experience was absolutely rewarding. At the shop, I learned how to operate a tattoo machine, sterilize equipment, and get better with my designs. In my experience, I just got better at designing the tattoos over time. I have attended seminars and classes about disease prevention, skin diseases, and infections, and took the same blood-borne pathogen prevention as Emilie did. I knew I can already get a license after 350 hours of training and getting 50 tattoos done closely supervised by my mentor but we wanted to ensure I was fully ready and highly-qualified before I apply for a license that’s why we decided to extend the apprenticeship to a year. When I got my license, I spent another year working in my mentor’s shop while saving money for my own tools and equipment. It was a huge investment but definitely worth every penny. Got me two tattoo machines, a starter ink set, tubes, disposable supplies, and more. Starting my own tattoo show was not at all easy. Definitely a whole new different store which I’d love to share in another blog. Anyways, fast forward to 3 years of having established my own shop, Emilie comes in one day and asks or an apprenticeship. This is basically how we ended up working together… and marrying each other. Message me for everything tattoo! I’d be happy to help! Send a short introduction about yourself and include high-quality pictures of all your piercings and tattoos to [email protected]. The best entries are selected every week who we will interview and promote on our platform. 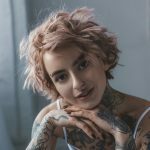 Occasionally, we get requests from companies for the best piercing and tattoo models, and once you are in our database we will connect you with these companies. This is why it is important for us to keep a database of all your images, in high quality. Thank you for your interest in Piercing Models! Pierce ON.